Refashion Co-op: #9 August Back to School: Blue Skirt Set Updated AGAIN!!! #9 August Back to School: Blue Skirt Set Updated AGAIN!!! GOAL: Refashion 10 Items for August Back to School. *I pledge not to buy any new RTW or thrifted for my new "Back to School" wardrobe. *I pledge to shop from my closet. 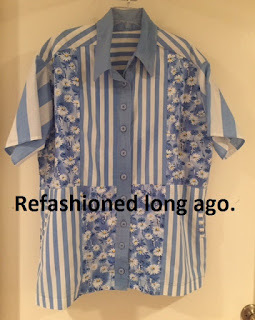 BEFORE: This is a 2nd Refashion of an older 1st Refashion. 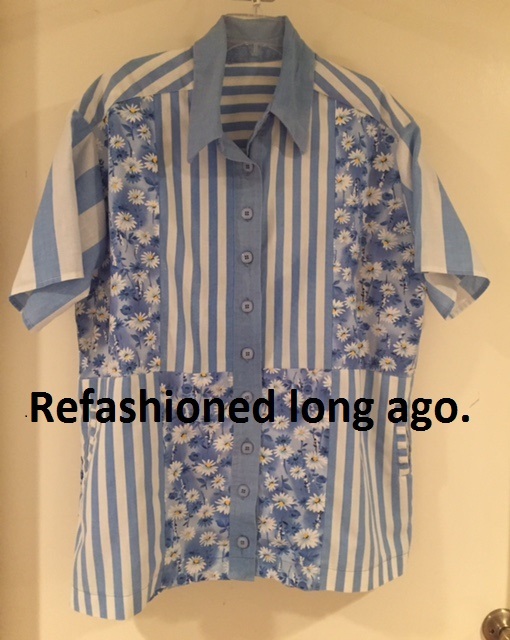 MANY years ago, this blue skirt set was Refashioned from a striped pants set and a light weight blue linen. 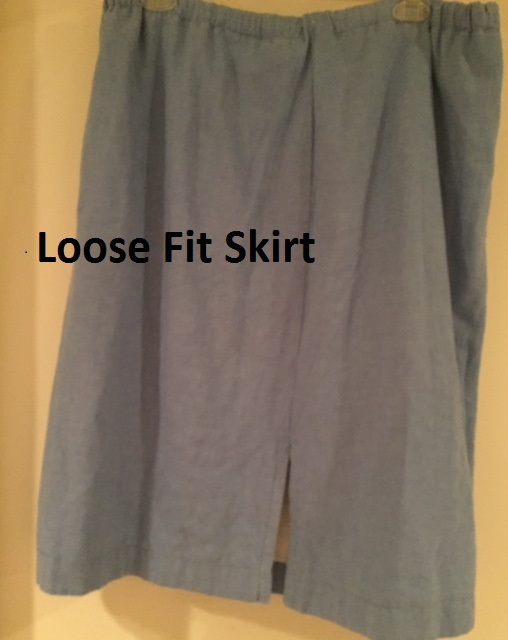 LATER, I re-made the skirt and added a thin muslin lining to the thin blue linen skirt. I still wore a slip and 6 AM looking for a slip was not fun. NOW, the lace stash and a too small slip were the answer. 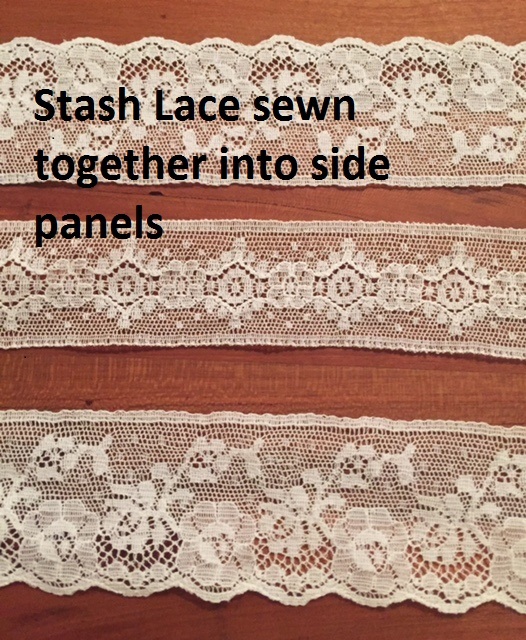 STEPS: Sewed 3 strips of stash lingerie weight lace side by side to make a wider lace panel. 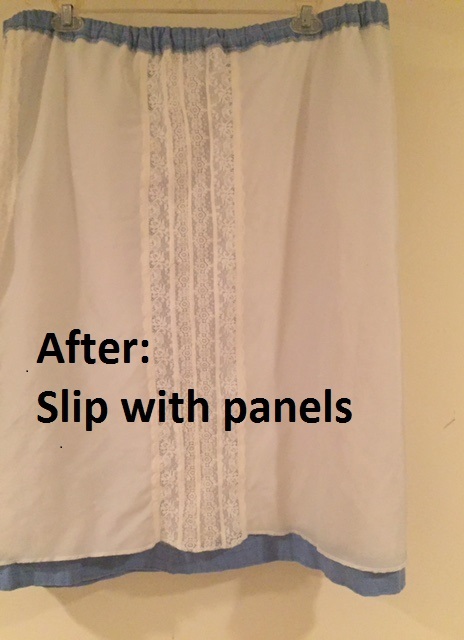 Sewed the lace panel into the sides of the too small slip. 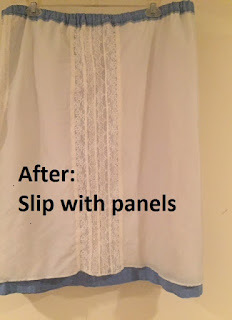 Top and bottom edges of slip were serged but not hemmed. 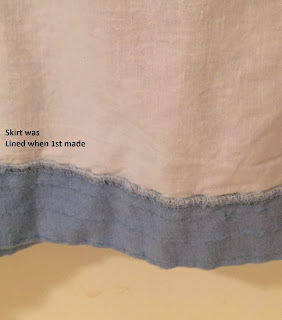 Refashioned slip was stitched into the waist of the skirt. AFTER: Now, this set is an easy go-to in the 6 AM morning rush. from striped pants & striped top. Pants pockets kept in the shirt. Later- Lining was added to the skirt. I still wore a slip. Before: Too small slip from the stash. 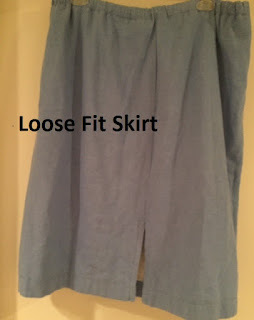 Before: Too small slip & lined skirt. 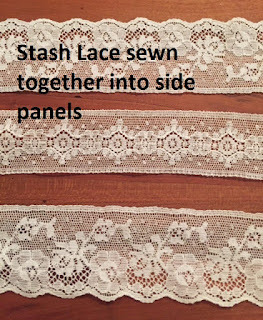 Once again the lace stash comes to the rescue. I *much* prefer a lined skirt to searching for a slip. Great fix!